Porcelain figure from Greece. She has a hand painted face and dress. She is holding a bouquet of straw flowers, and has a scarf made of cotton on her head. 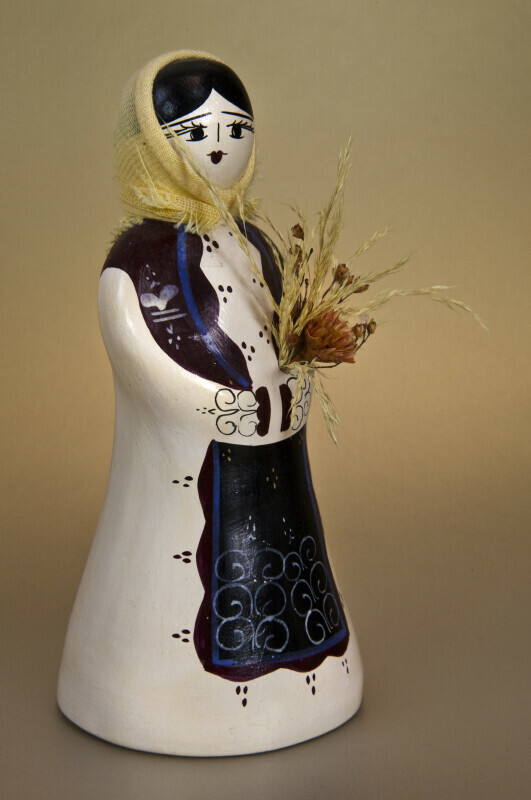 Tag: "Traditional dolls from Greece. Hand Made in Greece." The figure stands 5 inches (12 cm) tall. WARNING: You are about to download a 24.4 MB TIFF!